Air is the new oil and everyone is jumping on the train. With so many air fryers to choose from, it can get tricky, choosing the best fryer to meet your needs. This is because many people do not know what to consider and how to choose an air fryer that will be perfect for them. The best air fryer for me may actually be a wrong fit for you. Why? We all have slightly different needs when it comes to cooking. So, you have to be careful when choosing the best air fryer for your kitchen. This will mostly depend on what you really want rather than on a review which is actually the reviewer’s perspective. Ease of Use and Cleaning: How do you use an Air fryer? Price: What’s the best value for money Air fryer? Capacity: What is the best Air fryer capacity for me? Versatility: Can air fryer cook other things apart from frying? Size and Dimension: How big is the Air fryer? Safety Features: Are air fryers safe? 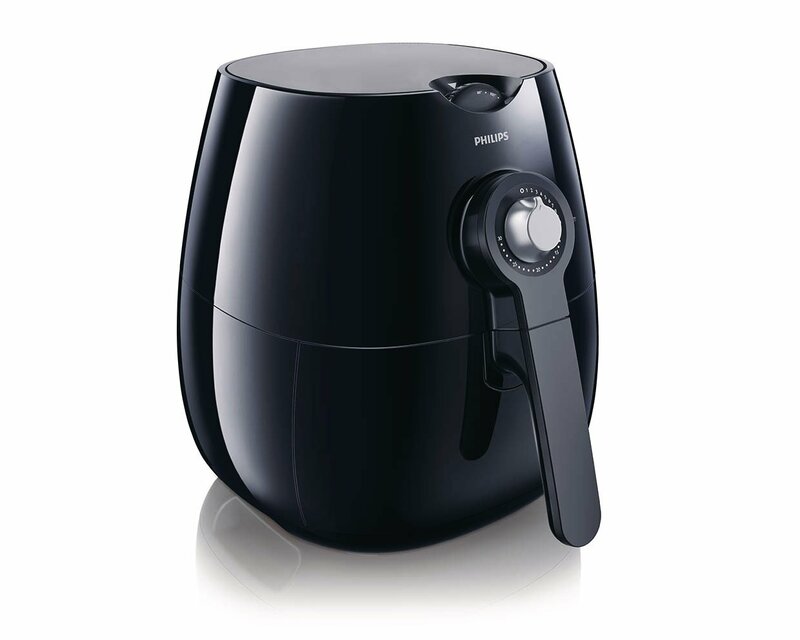 Power: How much power will an air fryer consume? Warranty: What is the length of warranty of the Air fryer? What’s the best air fryer to buy? This article will guide you on how to choose an air fryer that will perfectly fulfill your cooking expectations. It will also answer many questions you may have before buying your perfect air fryer. How are we going to do this? We’ll show you the most important things you should consider before buying an air fryer. Straight up, there are several factors to consider when trying to get the best air fryer for your kitchen. We’ll explain each and every one of the most important factors below. A good air fryer must be easy to clean and use. Even with all the best features, if you cannot easily use and clean your air fryer, it will certainly overshadow any good the air fryer may intend to achieve. It is, therefore, necessary that you should get an air fryer that is easy to clean and use. An air fryer must have easily understandable controls whether digital or manual. In some cases, a manual and cookbook can also help with the easy use of the air fryer. Some also come with programmable settings and preset options to easily cook various foods on the go. These are often more sophisticated digital air fryers. In most cases, digital air fryers are often easier to use compared to manual types. It’s not like manual air fryers themselves are not easy to use though. Digital air fryer comes with programmable options or cooking presets unlike it is with manual air fryers. A good air fryer will have a removable drawer. They should also have non-stick frying baskets and non-stick pans. These components should also be easily removable and dishwasher safe. When you buy an air fryer with these features, cleaning will always be a bliss. Is the air fryer dishwasher safe? Most of the time, a damp paper or cloth may be all you need to clean your air fryer. There is not much mess because oil is not involved. But if you still want to clean these parts with water, a good air fryer with dishwasher safe parts would pose no problem. This is often the most important to many people. Questions like; Is it worth it? Should I buy it? And much more stems from the pricing tagged to any particular air fryer. This is normal since no one would be happy buying an air fryer that would not justify its price tag. Also, factors like capacity, features, and brand may affect the pricing of a particular air fryer. The GoWISE USA Digital Electric Air fryer is among the cheapest air fryers but with great quality despite the pricing. While some air fryers may retail below a $100 price tag, most of the feature-rich air fryers are steeply priced. Also, remember that the more capacity or features you may want in your perfect air fryer, the more likely is the price to be on a high. Talking of capacity size, it is the most important factor to some people. A family of five would be more concerned about the capacity of their air fryer than a couple would. Air fryers come in various capacities. Consider how much food you would normally be cooking, this is so you do not experience any inadequacy with the capacity that your air fryer has to offer. 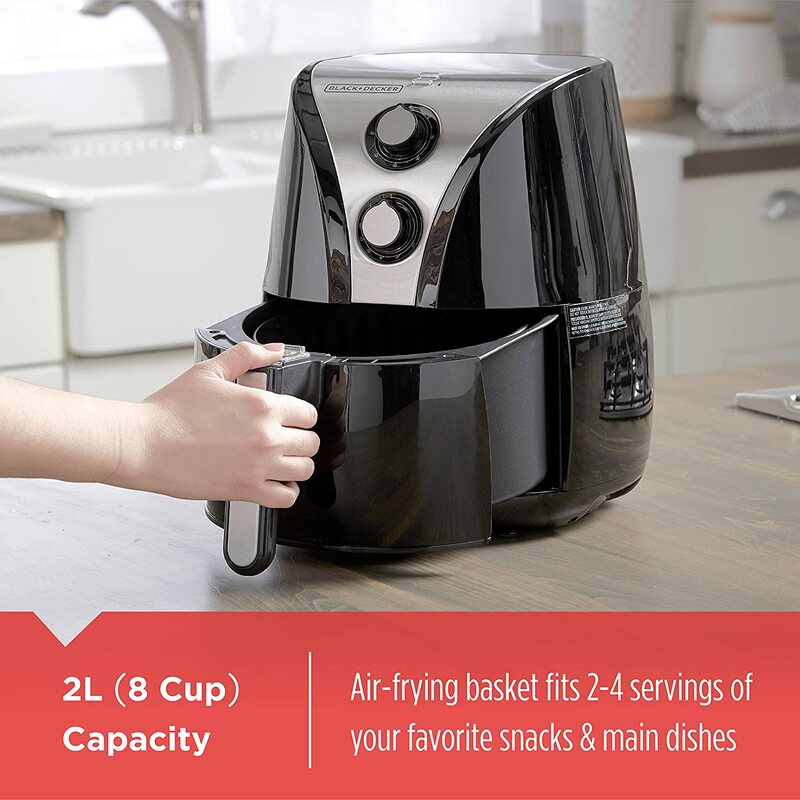 So, depending on the size of your family or how many people you would need to cook for at once, you can choose between a small or a large capacity air fryer. Philips Air fryers have a capacity range between 1.8lbs to 2.6lbs. Considering we have some nice reviews about them, they are some of the best air fryers in the market. The Avalon Bay Air fryer also has a capacity of 3.2lbs. The GoWISE USA 22631 which is apparently one of the best air fryers has a 5.8quart capacity. The Gourmia GTA2500 Air fryer has a whopping 9.5quart capacity. So, when you want to get your perfect air fryer, knowing the average capacity you’ll need should be one of those things you should give proper consideration before splashing the cash. For some people, their perfect air fryers must not just fry, it must also be capable of performing a range of other cooking processes. Depending on what you want, there are several air fryers in the market with varying levels of versatility. The Power Air fryer XL can fry, grill, sauté, bake, roast, and steam. So, if you want an air fryer that will basically be used for frying, these may not appeal to you. But if versatility is your thing, then these air fryers with lots of options may demand your consideration. Another important factor to consider is the size of the air fryer. Questions like how much space it will occupy should be asked. Where will it fit in your kitchen? What amount of space will it take? Then if there would be enough space to accommodate it. While some air fryers are small and compactly designed, some are rather bulky and tend to consume more space. It depends on how much space you have left in your kitchen. It wouldn’t be nice to have an awkward looking air fryer in your kitchen. If you really care about the size there are a wide range of air fryers to choose from. The Philips Air fryer XL has a dimension of 15.35 x 15.35 x 14.88 inches and a weight of 18lbs. It may seem bulky compared to the Philips Air fryer with more capacity and a compact 12.4×16.65×11.89 inches dimension. The GoWISE USA Electric Digital Air fryer of 2.75quart is an option if you are looking for a top performing compact, small air fryer. It has a dimension of 8 x 11 x 6 inches and weighs only 10.6lbs. One thing to note about size is that most air fryers with higher capacities are mostly bulky and large-sized. Granted that you have a highly versatile air fryer capable of cooking several food types apart from frying, you’ll want to make use of certain accessories that may or may not come with your air fryer product package. It will do you enough good before choosing your air fryer to know if the air fryer of your choice is capable of being used with other accessories. While some air fryers can simply be used with accessories you can simply purchase in stores, you can simply purchase in stores, some may not have that option. The Gourmia Air fryer GTA 2500, apart from being compatible with several other accessories, comes with over ten different accessories. These accessories include; frying basket, cooking pot, skewer rack, kabob rack, steamer racks, tongs, baking and steaming pans, chicken fork and lot more. There are also those that do not come with fully packaged accessories aside from the cooking pan or frying basket. Some air fryers like these can be fully optimized through the purchase of a few accessories on stores like Amazon. Absolutely, Yes! Depending on the level of safety you need, most air fryers offer a pretty good safety assurance leaving little room for errors. What are the safety features in an air fryer? Some have non-slip feet to provide rigidity and suction while working. Some have an inbuilt auto timer that shuts off the system either when cooking is complete or after a preprogrammed set time. For some the auto timer is 30 minutes, some shut off after 60 minutes while some are programmed to shut off after 99 minutes of inactivity, This single feature in any air fryer would ensure your food never gets burnt or overcooked., It also reduces the risk of fire burns that may occur from cooking for too long just in case a situation like that happens. Many air fryers are also built to shut off operation in case the basket or drawer is opened or removed while they are in operation. All these features are what you should check for when choosing your choice of air fryer to ensure you get a perfectly safe-to-use air fryer. Other safety features include a cool-to-touch handle and exterior, a heat resistant exterior and to some extent an interior cooking part that is dishwasher safe. Sure you would like to play safe, who wouldn’t? This is a twist. An air fryer with a high power output would cook faster but consume less energy whereas a low wattage air fryer would cook slower and consume less energy. 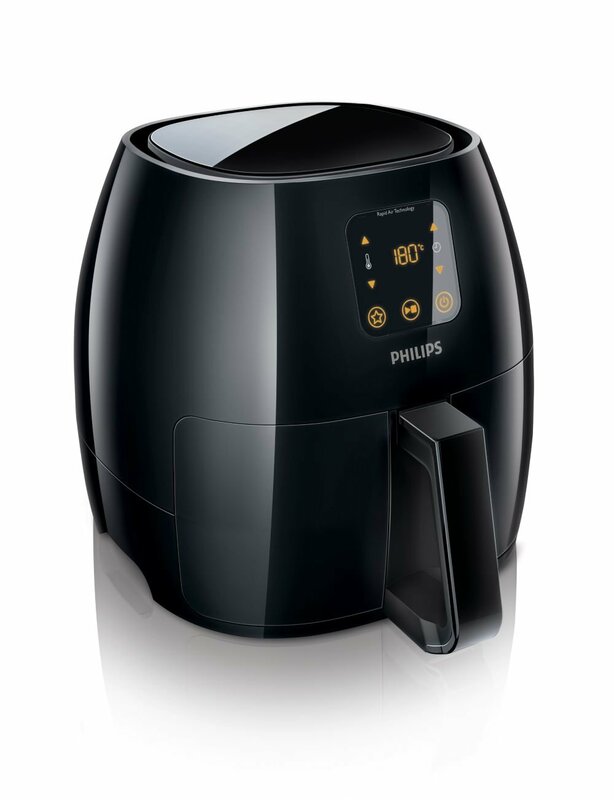 An air fryer such as the Philips Air fryer XL, rated at 1750W is likely to cook faster than the smaller model Philips Air fryer rated at 1425W by a percentage as high a 30%. It all comes down to what you think is best for you. Would you like to cook quicker or would you simply opt for energy-saving air fryers, it’s only yours to decide. The length of the warranty period of any product, including air fryers, sometimes may show the level of confidence the manufacturers have in the durability of such product. While there are air fryers that have a warranty period of just sixty days, there also those with lengthy periods of warranty for as much as two years. All you need is to check the warranty period of the air fryer of your choice to see if it matches what you’d like. By now, you should have seen the reasons why we can’t specifically choose an air fryer for you, especially when we don’t know what your most important priorities are. Even so, we can still point to some air fryers, the best among the pack and we feel confident that most, if not all will surely meet whatever those needs of yours could be. When choosing an air fryer, many people want to what’s the best air fryer to buy so they will not end up with a product that will not meet their expectations. We’ll divide this into categories, let’s check it out below. The Black and Decker 2L Oil-free Air fryer is unarguably the best air fryer you can get for the cheapest price. It has a 2liter capacity that is enough for a single person or a family of two. It is the best among the lowest priced air fryers and still manage to pack in a few decent features along with incredible affordability. The major benefit of the Black and Decker is the cheap price you pay to enjoy healthy and safe meals. The few downsides to the air fryer are the lack of a digital control and the lack of optional accessories. But if your topmost priority is to get a low-priced nice air fryer. The Black and Decker is the sole ruler in this category. The Philips Avance XL is the perfect air fryer suitable for your family needs. It comes in black and white colors and has a capacity of 2.7lbs. It is highly versatile and has a digital control that can be easily used. With many inbuilt safety features, the Philips Air fryer XL has a removable drawer and dishwasher safe, non-sticky cooking parts. The only thing that seems like a downside here is the steep price. This is because the air fryer is one high-end, quality air fryer. There are many things to love about the Philips Air fryer XL, the family-size capacity, the easy-to-use digital interface, the ability to cook several food types apart from frying and the availability of optional accessories. All these made the Avance XL a popular product among lovers of healthy and safe food fans. With a 5.8 quart capacity, the GoWISE USA GW22631 is your best bet for serving more than four people easily. It capable of handling a whole chicken and it is so versatile that it may replace other cookers in your kitchen. It features a digital touchscreen control for easy use, dishwasher safe parts for easy cleanup and several safety features for safe use. The major downside with this air fryer is design, rather than performance. It is bulky and has a larger footprint. Remember when we explained the relationship between size and capacity. This air fryer is bulky and will take quite some space due in part to the 5.8quart capacity. If you’re not all about capacity, then the original Philips Air fryer may be your perfect cooking companion. Though it is a manual air fryer, it’s still much easy to use and comes with few accessories and also some optional accessories alongside a recipe book with which you can treat yourself to some special treats. The only thing we can point out as a disadvantage is the lack of a digital display. Apart from this, the air fryer is just so good. It is affordable, it is versatile, it is beautiful. Yeah, it will add more touch of beauty to your kitchen with its sleek design. If your French fries are so important to you that you’d want a perfect air fryer with you can enjoy them, this T-Fal Actifry is the best in this category. The Actifry is not your regular air fryer. It has a see-through lid through which you can take a peek at what you’re cooking. It also comes with a stirring paddle that stirs your food as you cook them. 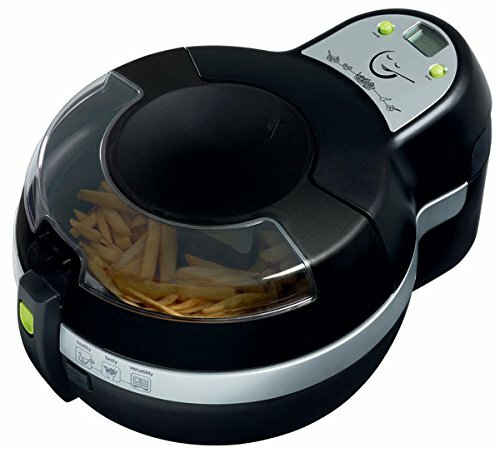 The T-Fal actifry fries your French fries in the removable pan rather than the frying basket making it easier to stir, which in turn makes it the best as far as French fries are concerned. However, the only issue with this air fryer is that it lacks an inbuilt auto timer, unlike many other air fryers. These air fryers are arguably the best in all the areas we have analyzed. The decision-making rests with you. Your personal needs in an air fryer should be carefully examined after which you can then choose from the best air fryers available for sale. We do hope you’ve enjoyed the article, it is meant to guide you on how to choose an air fryer that will give you zero problems and maximum satisfaction. Thanks for checking by and we wish you a pleasurable experience on your way to a healthier lifestyle.